Ideally situated in Colwyn Bay, midway between Chester and Bangor and just 2 minutes from the A55, the principal route into North Wales, Plas Eirias is set back from the road opposite Eirias Park, surrounded by woodland with views of the Irish Sea. A pleasant environment in which to take that lunchtime stroll to clear the mind. Purpose built to an extremely high specification incorporating style with comfort and set in a peaceful yet convenient location, a serviced office at Plas Eirias Business Centre presents professional premises for your business and a tranquil working environment. A range of serviced offices varying from 75 sq ft perfect for one person to larger flexible open plan spaces are offered. This is an excellent location for start-up and small businesses giving growth opportunities within the building or for setting up a satellite office in North Wales. 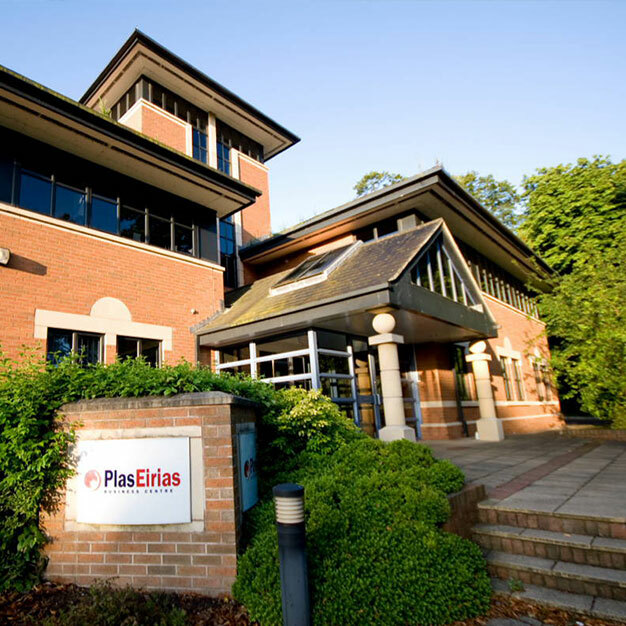 We understand how crucial it is to keep overheads low and by renting a serviced office at Plas Eirias Business Centre, there aren’t any hidden costs at the end of each month, making budgeting straightforward. Viewing to get a feel for the environment and space available is highly recommended.